I go to prepare a place for you—your future home is secure. I will come again—we will be with Jesus forever. I am the way, the truth, and the life—there is no need to second-guess, no confusion; just perfect, heart-cheering clarity! The disciple’s job—and therefore our job as well—is simply this: “Believe Me” (v. 11). 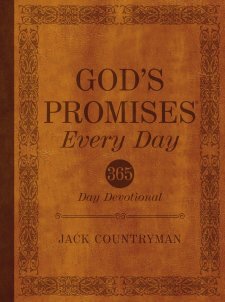 God’s Promises by Jack Countryman is a wonderful resource to help you use the Bible to enhance your prayer life and build your faith. Check out my full review of this fantastic book by clicking here. “…Be patient in trouble, and keep on praying” (Romans 12:12). When trouble comes, is our first response “I’ve got to do something” or “I’ve got to pray”? 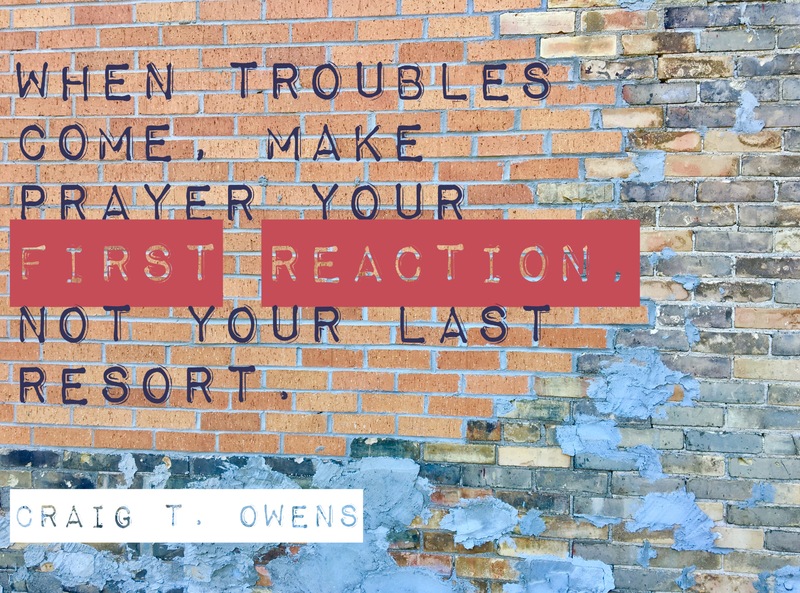 Let’s make prayer our first reaction, not our last resort. 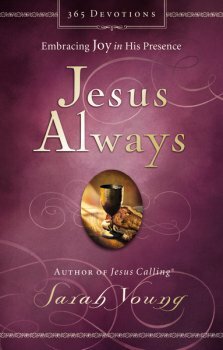 Sarah Young does a masterful job in speaking the words of the Bible to us through the first-person voice of Jesus Christ in her book Jesus Always. Be sure to check out my review by clicking here. Below are a few quotes from this keepsake book. I will be sharing more quotes from Jesus Always in the near future. If you want to be notified as soon as these quotes are posted, please subscribe by entering your email address in the right column. I’ve also been sharing quotes from this book (and lots of other high-quality authors) on both Twitter and Tumblr. If you’re not following me there, please do so. As always, there are more quotes from Oswald Chambers’ books than I have space to share them. So here are a few more from The Place Of Help. 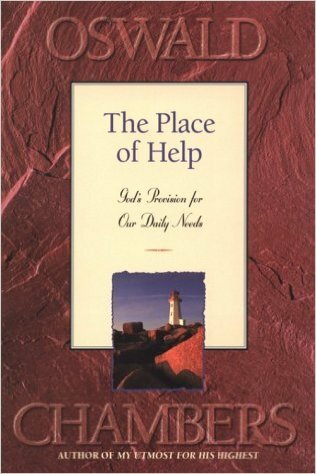 You can read the first set of quotes from The Place Of Help by clicking here. My review of The Place Of Help is here. And be sure to look for “Thursdays With Oswald” to read quotes and thoughts from the current Chambers’ book I am reading. One’s open mouth—and closed ears and mind—says a lot of one’s heart! In this 18th chapter of Proverbs, Solomon draws a pretty stark contrast between the mouth and ears of a fool and of a wise person. 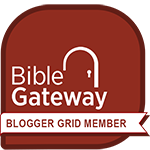 Check out the links on each of the verses to Bible Gateway to get a full picture of both the fool and the wise person. His lips bring him trouble, a smack on the jaw, and may even cost him his life. And yet he keeps on spouting foolishness. He’s not interested in getting any better (vv. 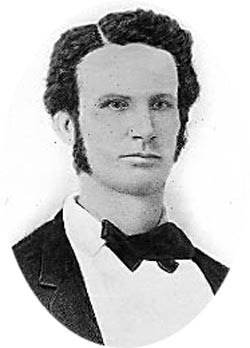 6, 7). His ears gobble up the latest gossip (v. 8). 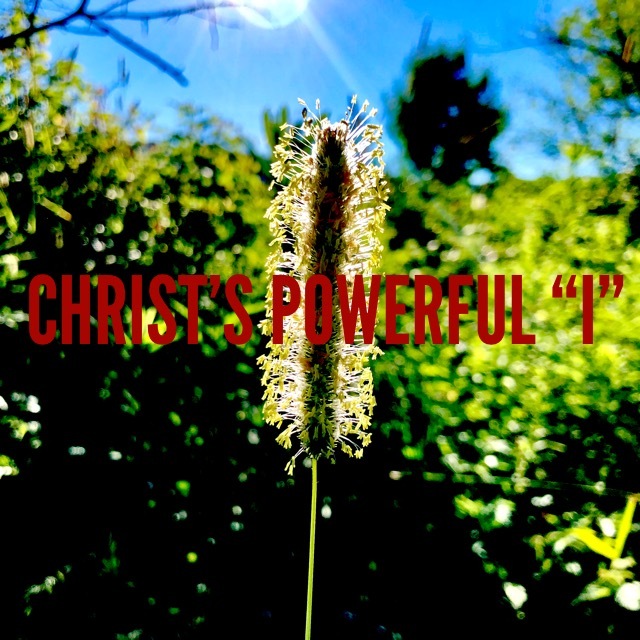 He fires off an answer before really listening (v. 13). 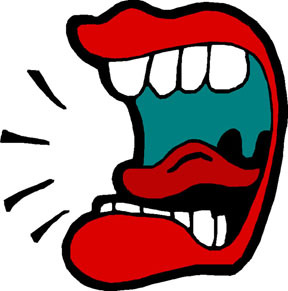 His quick, careless words creates the poison food that he continues to eat (v. 21). He is always learning how to use his words in a God-honoring, soul-benefitting way (v. 4). He avoids “cheap candy” gossip (v. 8). He listens fully before trying to respond (v. 13). He asks good, clarifying questions (v. 17). His wise words creates the healthy food that nourishes him (v. 20). So… are you being wise or foolish with your mouth and ears? Don't miss out on all the good stuff … enter your email address to subscribe.